SINCE THE BEGINNING of civilization, wine has been a source of pleasure to mankind. Wine is one of the first things Man created. No one knows who made the first wine or enjoyed its effect, but it is woven through the tapestry of human history like few other products. It has played many roles—as part of religious ceremonies, as medicine and antiseptic, a water purifier, a transformer of meals into feasts, and as a comforting friend and a courageous partner. What is wine? 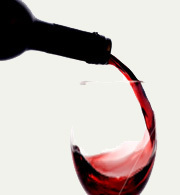 If put in sufficiently general terms, wine is the naturally fermented juice of fresh fruit or berries. Wine derived from the juice of grapes will be our focus here. Wine is foremost an agricultural product. With only minor assistance by man, grapes are converted by nature, in a chemical process, into an alcoholic beverage. Using a few skilled techniques, man can create wines of immense variety that can be bottled and transported around the world, and at their best, through time, develop an apparent soul of their own, creating an almost sublime experience. Today, we know more about wines than ever before. We know how to cultivate the highest quality grapes to produce fine wines, and how to pair them with foods to show both at their very best. We have learned or perhaps rediscovered, wine as a principle source of nourishment and the benefits it can bring when consumed in moderation as part of a healthy diet. In enjoying wine we connect with history and with those before us who have participated in one of mankinds earliest and simplest pleasures. Educating ourselves about wine and its proper use can only help us to enjoy it to the fullest, and to make it part of a gracious way of life. HOW MUCH WINE SHOULD YOU PLAN FOR? All materials contained in http://www.WineCountryTravel.com are protected by copyright and trademark laws and may not be used for any purpose whatsoever other than private, non-commercial viewing purposes. Derivative works and other unauthorized copying or use of stills, video footage, text or graphics is expressly prohibited.